Contracting & Materials, Inc. is a certified installer and distributor of a number of specialty products. 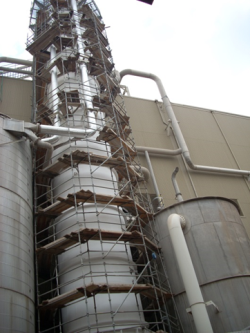 Belzona is a global leader in the innovation of repair compounds and industrial coatings. Where other products fail, Belzona has the materials to solve your maintenance issues and protect your equipment or structures from wear, breakage or chemical attack. 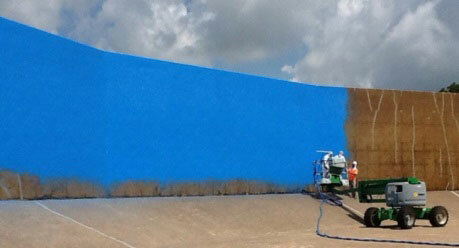 Polyurea’s major benefit is its fast-set nature. It can typically return an area to service many times faster than traditional coatings, allowing the owner to put the facility back in use in hours instead of days. Polyureas can be formulated to achieve a tremendous range of properties from high elongation to superior tensile strength to hard or soft, all based on how the materials is formulated and correctly applied. Ceramic Insulation is a spray-applied, radiant heat barrier insulation system to thermally insulate up to 375°F. It can be used for personnel protection, energy savings and protection from corrosion under insulation. 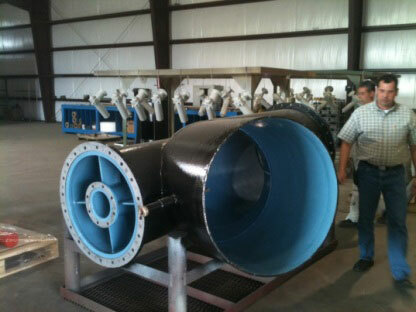 It can be applied to all types of process equipment, vessels, tanks, and piping. If you need to coat concrete quicker than 28 days, then we have several materials which can be added to your concrete mixture to accelerate the coating time of the concrete. We have a number of solutions for this problem. When a contaminant is left on the substrate prior to lining, the process of osmosis (moisture being pulled through the coating) occurs. However, coating failures can also occur without moisture being present. Even when metal is brought to a white metal, sulfides can remain on the surface. If salts & contaminants are impregnated in the steel, the linings can delaminate from the substrate. We have a number of solutions for this problem. We have a number of internal linings for potable water, sour gas pipelines and aviation fuels. These have been proven to reduce black powder build up and improve flow efficiency. We also offer external coatings which include high-build, solvent-free urethane anticorrosive coating designed for the efficient long term protection of pipelines, pipe fittings, storage tanks and equipment. Examples of Ceramic Insulation Projects.